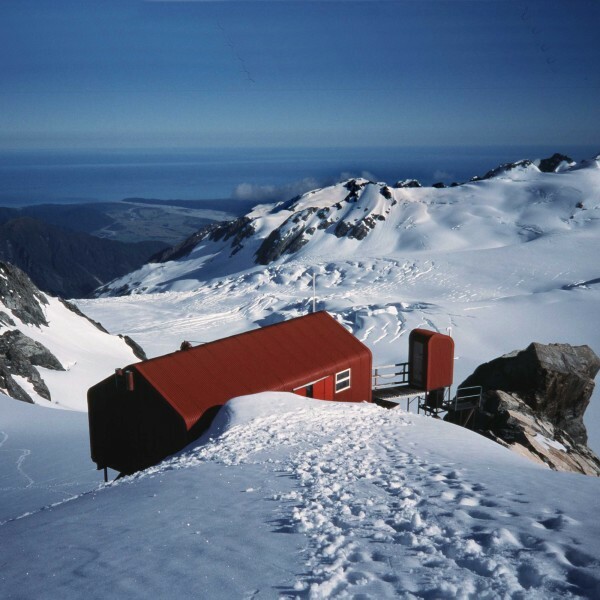 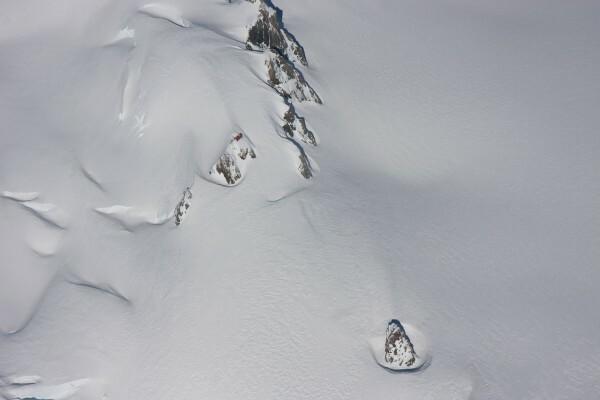 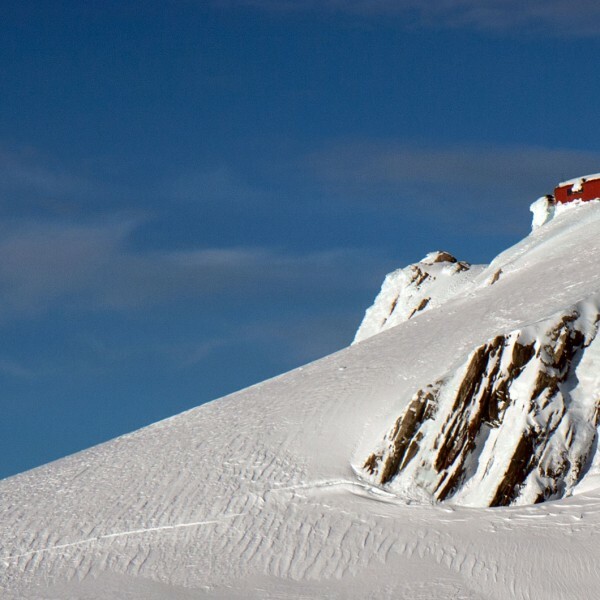 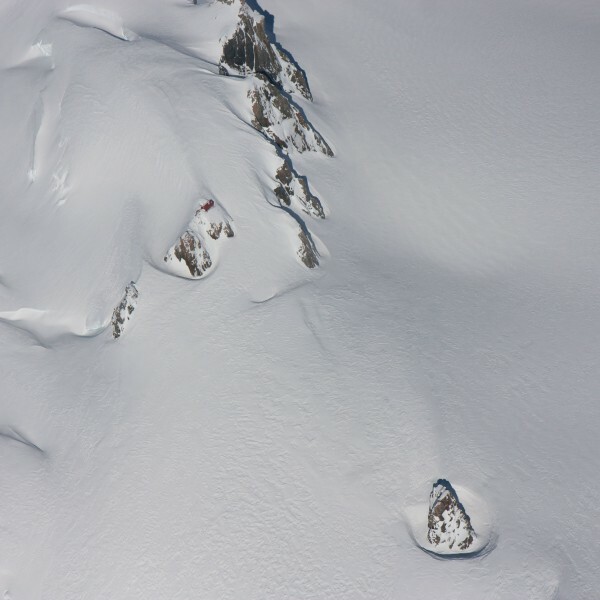 Named to mark the centennial of the Club (formed in1891), this alpine hut sits on a small outcrop of rock that protrudes from the Franz Josef névé. The vista of the sea lapping the west coast is spread below, and the peaks of the southern alps tower above. 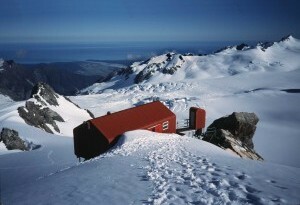 Tusk Rock, Franz Josef névé. 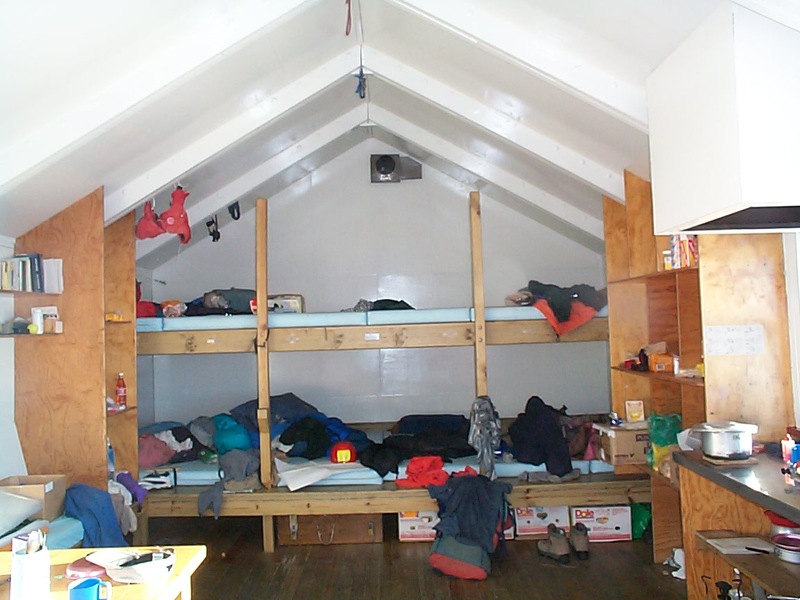 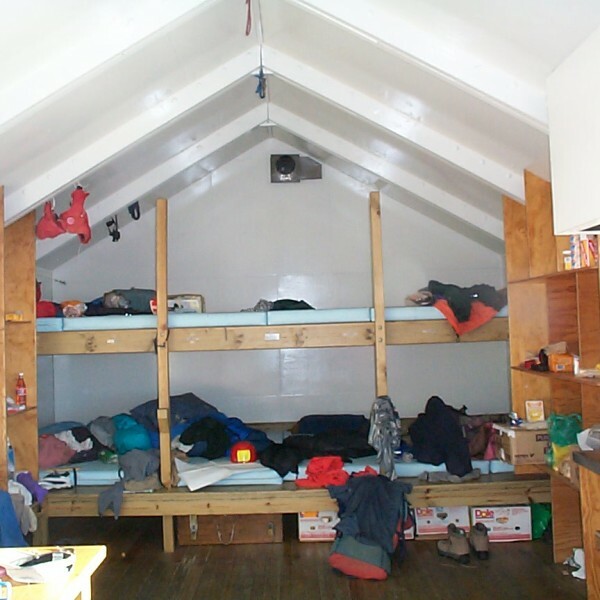 20 bunks with mattresses only, limited electric light, radio, water tank. 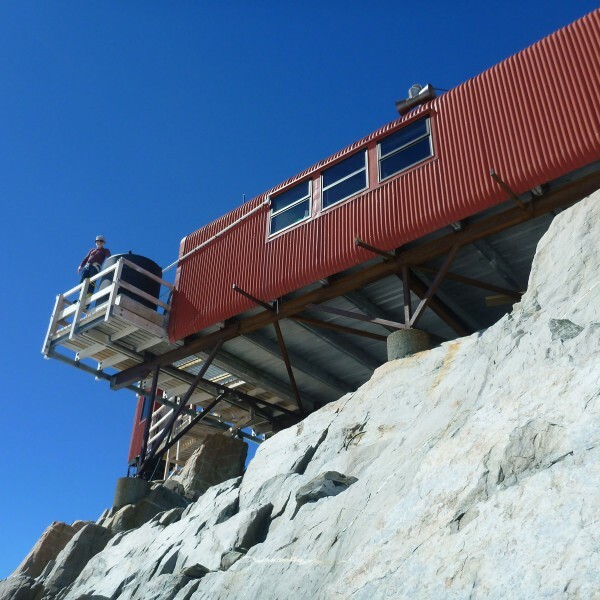 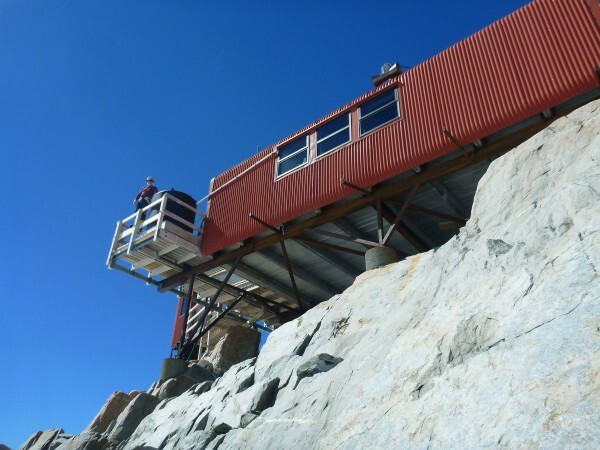 Air access to Davis Snowfield. 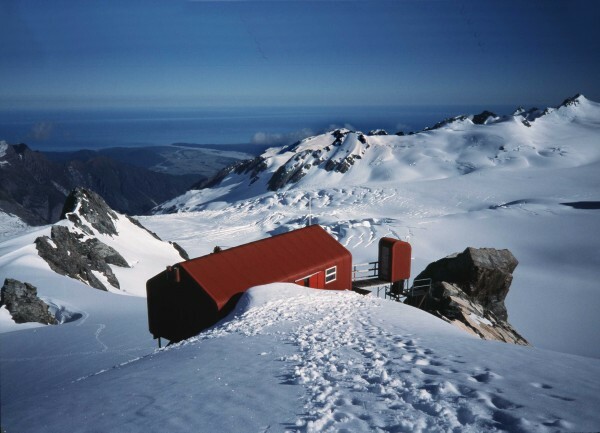 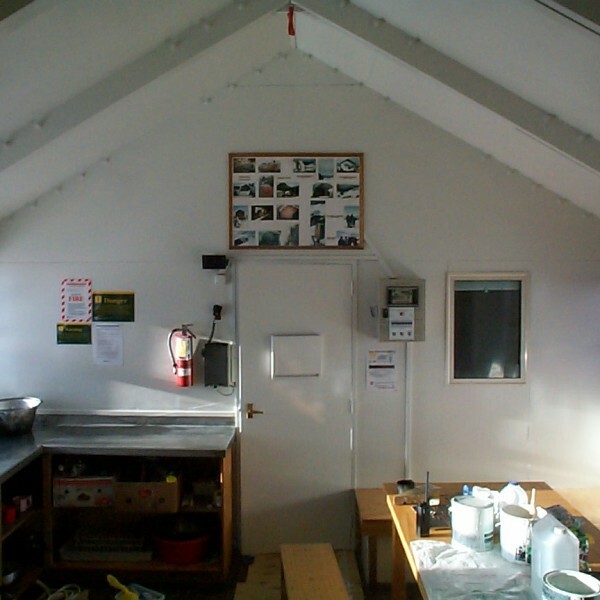 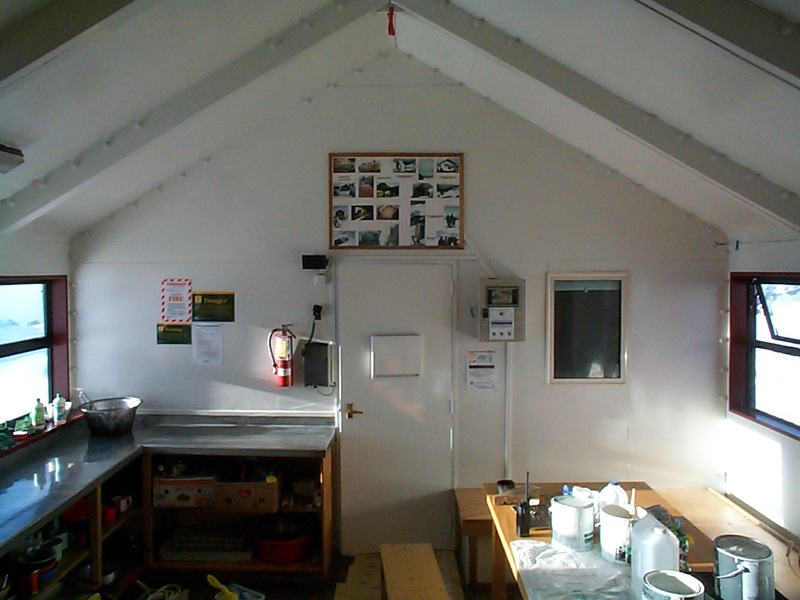 Typically ground parties will come from either Almer Hut, Pioneer Hut, or Graham Saddle.